George Bidwell was born on the 3ed of May 1905, Reading, Great Britain. In Poland he lived for over 40 years, and wrote around 60 books, mainly dramatised biographies of persons who played an important role in British history. 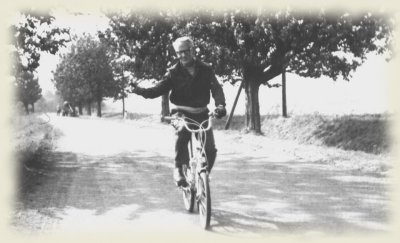 In the years 1960 – 1968, G. Bidwell lived in Przesieka near Jelenia Góra. He came from a family of merchants: his "„paternal grandfather had lived and brought up a family of twelve from the profits of a grocer’s shop in Salisbury, in the country of Wiltshire” (...), his father, Arthur Bidwell, also was in trade „ tall, dark, broad shouldered but still slim, one of the handsomest men I have known, with a notable Roman nose”. (G. Bidwell, Never a dull moment, p. 11, typescript of the published in Polish autobiography Ani chwili nudy. Katowice, 1976, s. 11). His mother Sybill Bidwell (family name Onley) „claimed descent, though her mother from the Irish O’Neills – earls and clan leaders seen by their countrymen as heroes, by the English as traitors. But the genealogy was tenuous and vague, to say the least as (...) her father (...) owned a chain of pawnbrokers’ shops (G. Bidwell, Never ibid., p. 14). George and his elder brothers: Geoffrey and Philip could not count on being sent to an exclusive public school. After completing his education in a private primary school George was sent to Sir Williams Borlase boarding school in Marlow. „To attend a lesser school, grant-aided from local government funds, markedly reduced ones material and social prospects, increased the chances of being bound in the lower middle class of clerks, state school teachers, small shopkeepers or, like my father and many of his friends, commercial travellers (...) At the time I felt injured, let down, robbed of opportunity”(ibid., p. 12). After attending the Borlase’a school for three years and passing the Oxford Junior Open Examination, from September 1919 r. he moved to a school in Reading. There he met teachers who aroused in him interest in history and literature: English language teacher W. E. Woodford, and historians: Saunders and Nightingale. Although he passed the entrance examination to the London University for financial reasons, he did not take up studies. 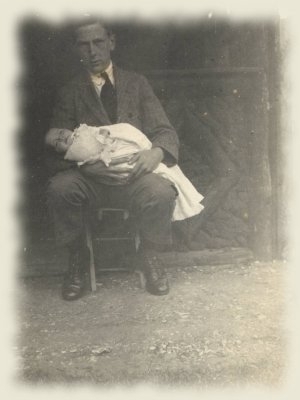 „In April 1921 mother had given birth to the daughter which I, sixteen years earlier, had been intended to be. (…) If the money that my University career would have cost was needed for Elizabeth’s ultimate education, I was glad to offer it to her with both hands.” (ibid., p. 63). 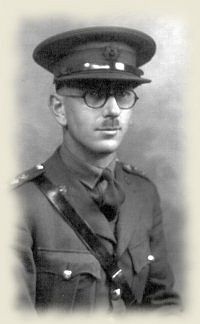 W In 1939 G. Bidwell became a volunteer in the South Oxfordshire Cadet Battalion and in December, after training for a month at Aldershot, was posted as Captain and Second in Command of the 45th Division Supply Column. 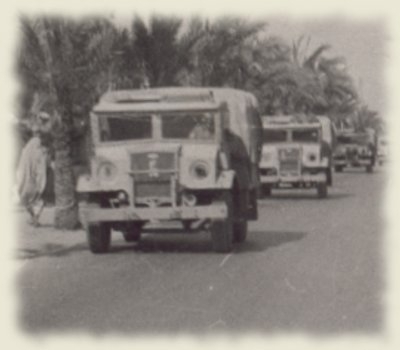 In 1941 promoted a Major and in 1942 took part in the North Africa Campaign with the Eighth Army. 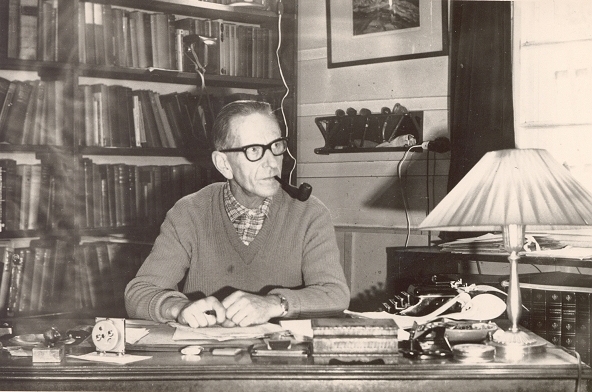 From 1943 up till the end of 1945 Bidwell worked for the British Council in the Middle East in several places as Assistant Director to the Council’s Allied Liaison Division. In due course he became the Director of the British Council office in Poland. 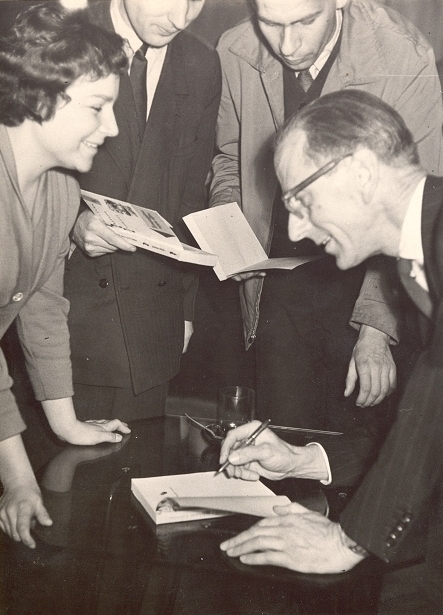 On January the 8th., 1946 Bidwell arrived in Warsaw, and begun organizing the British Council in Hotel Bristol. By the end of Summer he got a flat and settled down in Targowa. "Intensified day by day was my liking for Poland" (ibid., p. 239). 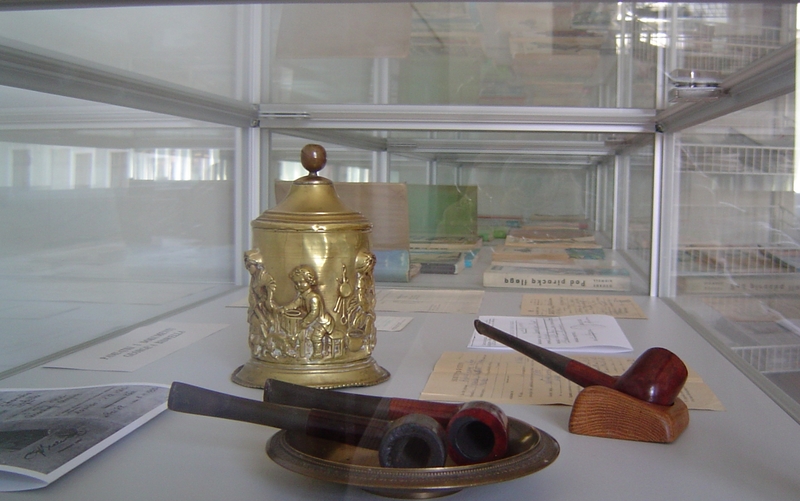 He gave lectures, wrote about English literature and fine arts as well as organized lectures and exhibitions. 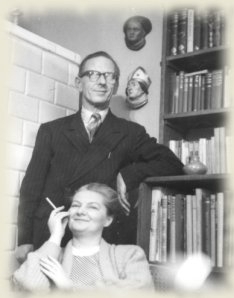 In December 1946 George Bidwell met Anna Krystyna Wirszyłło, a linguist and journalist. In due course he got permission to divorce his first wife in England and on the 29th of September 1948 married Anna Krystyna Wirszyłło. Now he had to choose Poland or England? 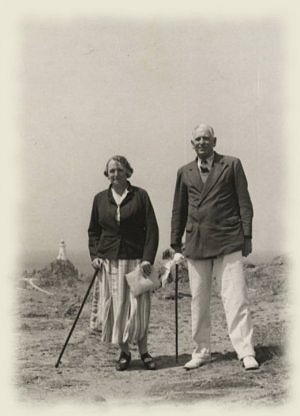 "Life in England, until 1939, had enabled me to take a few tentative steps along the writer's road, but in other respects had little developed me (ibid., p. IX). 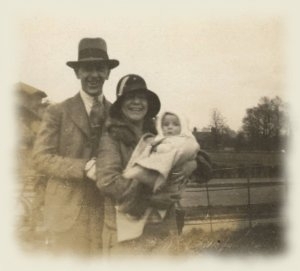 In England "where my personal life had been a mess – albeit of my own making – and where before the war, I felt cramped and frustrated (ibid., p. 243). "And there was no doubt that it was in Poland that, in more respects than one, my heart was engaged. I found it, its people, its whole atmosphere – more absorbing, more congenial than any country I had previously lived”(ibid., p. 265). 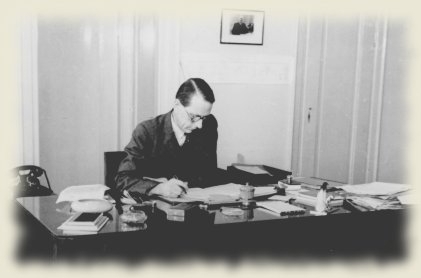 George Bidwell was granted Polish citizenship on the 1st of June 1949. Two daughters were born into the family: Sybill in July 1949 and Christine November 1950. 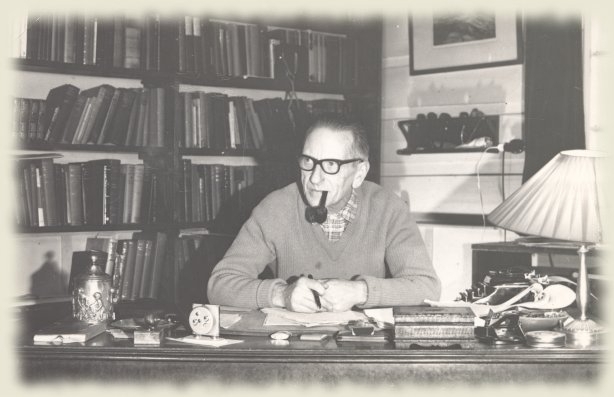 He taught at the University of Warsaw "Practical English", and wrote articles published in journals and daily papers. 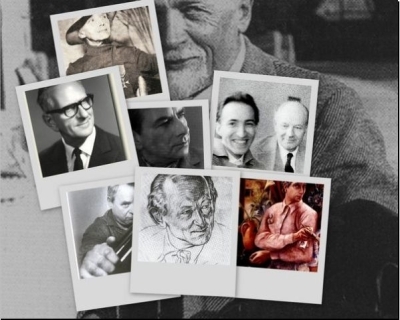 Encouraged by Jerzy Borejsza he started to write historical biographies; "...you know English literature, you are familiar with English history, you understand the English social scene. You have seen a good deal of the world. So your business, your priority task, is to tell Polish readers whatever you know on those themes"(ibid., p. 250). Four years later they started to think about moving to the country. It was then that they learned from Jarosław Iwaszkiewicz that in the neighbourhood of Jelenia Góra one can get a small property fairy cheaply. "We went and fell under the spell of Przesieka"(ibid., p. 265). "For agricultural purposes, except sheep breading, Przesieka may not be ideal. But, 500 meters above sea level, spread over the steep sides of a mountain stream valley, it combines village features with those of a minor resort" (ibid., p. 265). 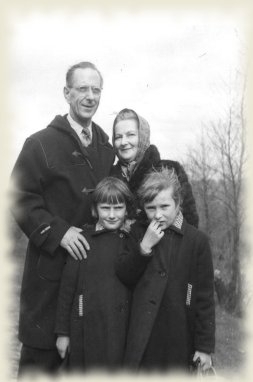 In 1960 the Bidwell family started their country life in Przesieka. 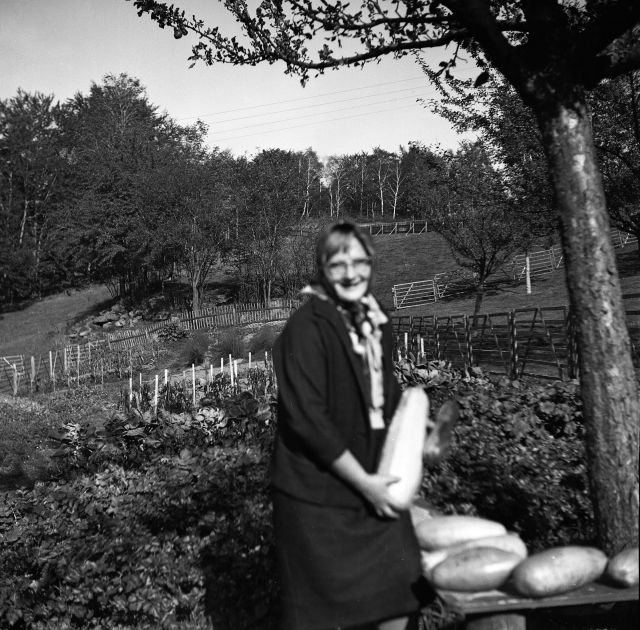 They bought "a chalet type house, part timber part stone, on the side of a hill, protected from the north east, with four hectares of pastures and two of woods" (ibid., p. 266), and begun to rear sheep and cows, cultivate vegetables and an orchard. His experience G. Bidwell described in a cycle of essays " Z notatnika pisarza na wsi" (From a notebook of a writer-farmer) published in Gazeta Robotnicza between 1961 and 1968. "I wrote in all seventy articles recording our day-by-day, week-by-week excitements, disappointments, good times, bad times and petty triumphs, with occasional cracks at bureaucracy in rural and agricultural institutions"(ibid., p. 271). In Przesieka, Bidwell continued writing biographies. Together with his wife and translator of all his books he took part in many authors meetings with readers in libraries, village clubs and common rooms. 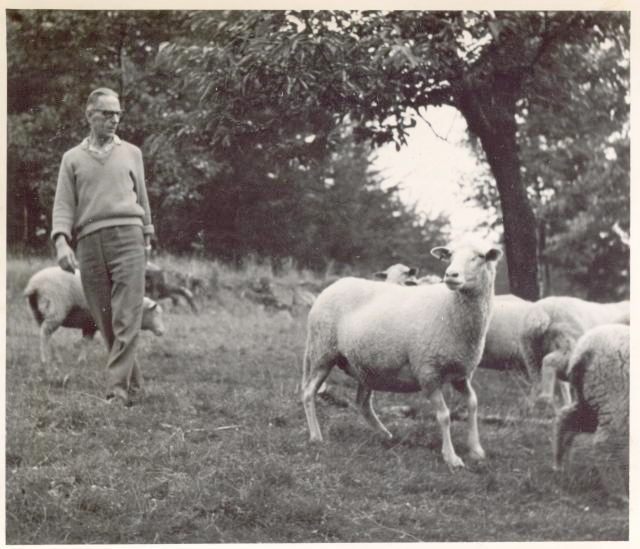 The Sheephouse became a place where many people from different ways of life met: journalist, academics, writers "many friends and acquaintances visited us, not incurious to see how the combination of writing with farming as a hobby worked out"(ibid., p. 283). Harsh conditions of life, unfavourable climate, big distance to the nearest big town were reasons for living Przesieka in 1968. The stay in Przesieka taught us a lot not only about managing a farm, but also about the village community in Poland – their stubborn independence, combined with a developed feeling for neighbourly cooperation, their strong characters, initiative, ingenuity... "When we were living the Przesieka Sheephouse, we knew that our stay in the Karkonosze had been an element specifically enhancing the flavour of life's brew"(ibid., p. 294). In 1968 Bidwell's moved to Nasławice near Wrocław. At the feet of Mt Ślęża they run a farm called Shephouse II. In 1972 they moved to Warsaw. George Bidwell died in Warsaw on the 20th of June 1989. He is buried in the Wrocław cemetery. Adam Syn Oliwii. Warszawa 1964, 1968, 1973, 1990. ISBN 83-205-4319-3. Admirał i kochanek : Horatio Nelson. Katowice 1989. ISBN 83-216-0764-0. 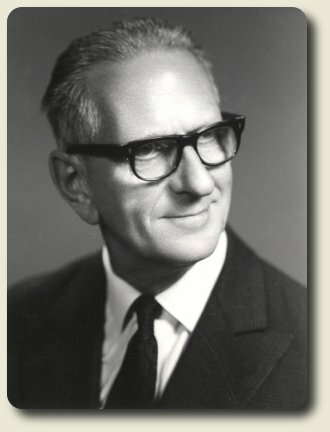 Admirał jej królewskiej mości G.B.Rodney. Gdańsk 1975. Ani chwili nudy : autobiografia. Katowice 1976. Boś lud swój pomordował : biografia Karola I Stuarta. Katowice 1975. Bunt długich spódnic : Emelina Pankhurst. Katowice 1972, 1988. ISBN 83-216-0635-0. Bunt na zamku Penwood. Warszawa 1962. Cudzą krwią : Karol Edward Stuart. Katowice 1973, 1979. ISBN 83-216-0132-4. Diabelski pomiot : Ryszard III. Katowice 1974, 2005. ISBN 83-7132-760-9. Golibroda króla Hiszpanii. Warszawa 1957. Hebanowe ładunki : William Wilberforce i brytyjski handel niewolnikami. Wrocław 1978. Iris odkrywa Polskę. Warszawa 1962. John i Sara księstwo Marlborough. Katowice 1982. ISBN 83-216-0217-7. Korsarz Admirałem : Francis Drake. Gdańsk 1967. Król Diamentów : Cecil Rhodes. Katowice 1979. ISBN 83-216-0001-8, 1987. ISBN 83-216-0633-4. Lord Nelson. Gdańsk 1959, 1964. Lwie Serce : Ryszard Pierwszy. Katowice 1983. ISBN 83-216-0328-9. Łabędź z Avonu. Warszawa 1966. Michał i Pat : powieść historyczna z dziejów Irlandii. Warszawa 1975. My z Bożej Łaski król Anglii. Warszawa 1963. Na podbój skarbów Bengalu. Warszawa 1960. Najcenniejszy klejnot : Elżbieta I. Katowice 1971, 1974, 1984. ISBN 83-216-0431-5, 2004. ISBN 83-7132-730-7. Niekoronowany król Irlandii : życiorys Karola Stuarta Parnella. Wrocław 1975. Od Aldershot do El Alamein.Warszawa 1954. Oliwia i Filip. Warszawa 1959, 1961, 1966, 1968, 1973, 1988. ISBN 83-205-4144-1, 1992. Ostatni rycerz króla Artura : Henryk V. Katowice 1977. Pirat królowej : Francis Drake. Katowice 1982. ISBN 83-216-0251-7. Pod piracką flagą : podróże Williama Dampiera pirata i przyrodnika. Gdańsk 1960, 1970. Portret Pat : powieść historyczna z dziejów Irlandii. Warszawa 1979. ISBN 83-205-3109-8, 1988. Pół wieku literatury angielskiej. Kraków 1957. Rubaszny król Hal : Henryk VIII. Katowice 1972, 1973, 1985. ISBN 83-216-0631-8, 2004. ISBN 83-7132-731-5. Saga Rodu Hawkinsów. Gdańsk 1972. Służył morzu i miłości - John Paul Jones. Gdańsk 1970. Sylwetki pisarzy angielskich w XIX wieku : szkice literackie. Warszawa 1955. Synowie Pat : powieść historyczna z dziejów Irlandii. Warszawa 1976. Szekspir w cieniu: szkice literackie. Kraków 1954. Szlakiem karawan. Warszawa 1956, 1957. Szmaragdowa wyspa elfów. Warszawa 1958. Świt nad Afryką. Warszawa 1955. Ten zły wódz : Wellington. Katowice 1968, 1975. Testament Oliwii. Warszawa 1968, 1973, 1992. ISBN 83-205-4388-6. U kolebki angielskiego realizmu. Warszawa 1960. Ulubieniec narodu : H.J.Lord Palmerston. Katowice 1981. ISBN 83-216-0163-4. W Anglii lisów nie strzelają. Warszawa 1957. W służbie Wielkiego Chana, Marko Polo. Warszawa 1966. Wiktoria żona Alberta. Katowice 1969, 1977, Warszawa 2000. ISBN 83-7255-579-6. Z kapitanem Cookiem przez Pacyfik. Gdańsk 1961. Zdobywca Anglii : Wilhelm I z Normandii. Katowice 1980. ISBN 83-216-0077-8. Zdobywca Indii : Robert Clive. Katowice 1976, 1984. ISBN 83-216-0376-9. Bidwell George. Ani chwili nudy : autobiografia. Katowice 1976. Bidwell George. Wybrałem Polskę. Warszawa 1950. Bidwell George. Z notatek pisarza na wsi. „Gazeta Robotnicza” 1961-1968. George Bidwell : strona główna.[online]. [dostęp: 14 listopada 2005]. Dostępny w World Wide Web: http://www.georgebidwell.com/mainpage/mainpage_pl.html. Łaszczuk Maria Jolanta. O angielskim pisarzu zakochanym w Pol(s)ce...”The Teacher” 2005, nr 4, s.56-58. Łaszczuk Maria Jolanta. O angielskim pisarzu zakochanym w Pol(s)ce... [online]. [dostęp: 14 listopada 2005]. Dostępny w World WideWeb: http://www.georgebidwell.com/articles/2/2_pl.html. Łukasik Monika. George Bidwell : adoptowany przez Polskę. [online]. [dostęp: 14 listopada 2005]. Dostępny w World Wide Web: http://www.georgebidwell.com/articles/1/1_pl.html. Matuszewska Małgorzata. Nasz sąsiad, pisarz : setne urodziny George’a Bidwella. „Gazeta Wyborcza” 2005, nr 101, dod. „Wrocław”, s. 7. Matuszewska Małgorzata. George Bidwell : nasz sąsiad, pisarz. [online]. [dostęp: 14 listopada 2005]. Dostępny w World Wide Web: http://www.georgebidwell.com/articles/3/3_pl.html. Żurek Sławomir. O Angliku, który wybrał Pol(s)kę. „Panorama Dolnośląska” 2005, nr 30, s. 67-69. Żurek Sławomir. O Angliku, który wybrał Pol(s)kę [online]. [dostęp: 14 listopada 2005]. Dostępny w World Wide Web: http://www.georgebidwell.com/articles/4/4_pl.html.